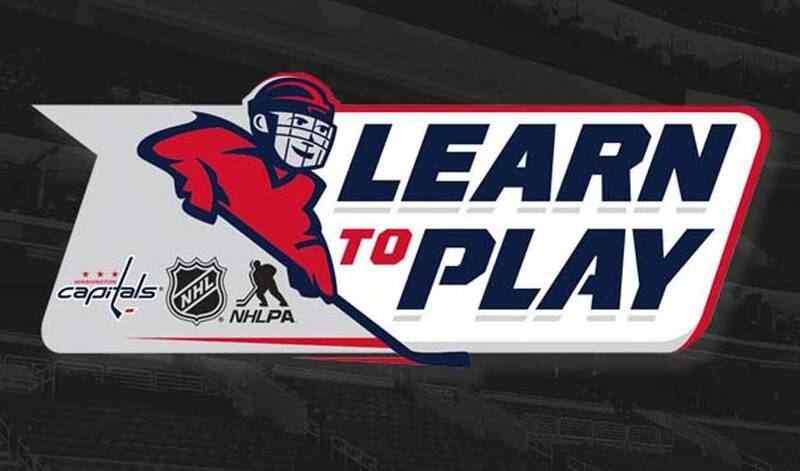 Registration for the NHL and NHLPA’s Capitals Learn to Play (LTP) program is now open. ARLINGTON, Va. – Registration for the National Hockey League and National Hockey League Player’s Association’s Capitals Learn to Play (LTP) program is now open at WashCaps.com/LearnToPlay. Open to first-time participants, the LTP initiative provides free head-to-toe equipment to children ages four to eight in an effort to reduce cost barriers associated with an introductory program. Equipment kits include a Capitals branded helmet, shoulder pads, elbow pads, gloves, pants, shin pads, socks, skates, jersey, stick and equipment bag. The program will be held at 23 area rinks, amongst the highest number of participating program rinks in the NHL, beginning in September 2016. Instruction will be provided by Capitals alumni and USA Hockey certified instructors. Each participating rink is providing affordable LTP programming with the goal of increasing participation in ice hockey. Lesson plans were developed by the NHL and NHLPA in conjunction with USA Hockey’s American Development model, which focuses on cross ice-skating and skill development. Caps alumni will visit each participating partner rink for at least one on-ice session. NHL alumni will work with all 30 teams to make sure the on-ice programming and messaging to parents and coaches is consistent across all markets. In addition, they will work with USA Hockey to help educate coaches on the benefits of the American Development Model. For potential first-time participants, the program is intended to change the way hockey is offered to provide an age-appropriate program consistent with long term athlete development and inspire new families to join the hockey community and remain active within the sport throughout their lives. For more information and to register visit WashCaps.com/LearnToPlay.